I’m an experienced senior instructor of Krav Maga with a focus on women and close quarter combat. My classes benefit from my extensive knowledge of Krav Maga and Defence Labs. I can show you how to overcome aggressive individuals with ease. 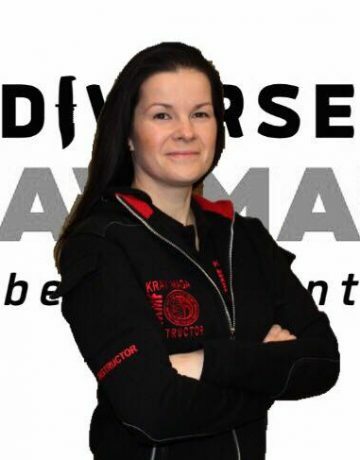 HIGHEST ranked Women’s Krav Maga Instructor in the UK (I.K.M.F. ), G5.